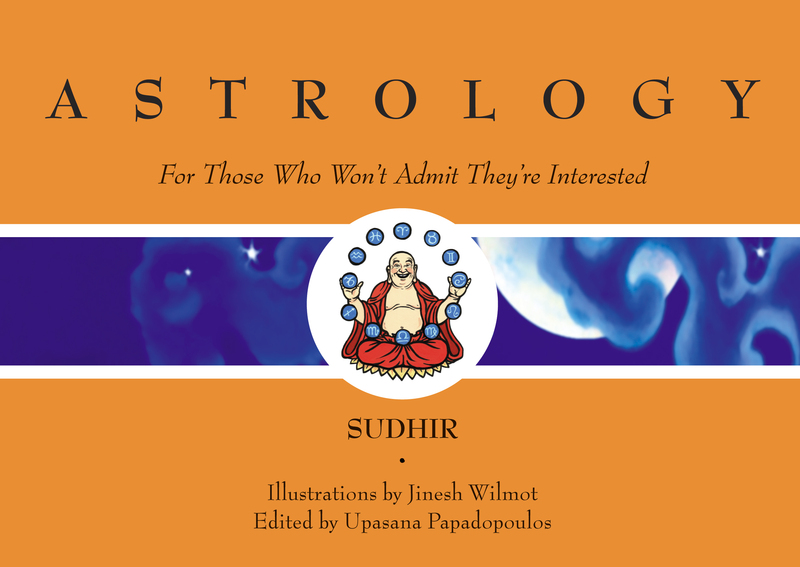 Sudhir Astrology in Print and on Your Coffee Table! A bit of brilliant Jinesh illustrative geniius in my paw. “Astrology For Those Who Won’t Admit They’re Interested” is a lovely colourful gift book I have out, that looks at Astrology and the meaning of the star signs, in unique and original ways. It’s designed to go on your coffee table or kitchen bench and inspire discussion, conversation and assorted ‘aha’s’. It is cheekily illustrated by my good friend Jinesh. It’s also a mighty fine present for anyone you know who might be up for a good astrological ponder – and a chuckle here and there. For those who are just hearing about the presence of this little literary gem, all you need to do to order your copy, is to send me a message via this blog, or e-mail me at astropoetica@gmail.com. It’s $25 including postage, to anywhere in the world. There’s a limited supply of copies of this edition left, so get in soon. You can pay by PayPal (worldwide), or cheque/money order, or direct deposit (if you are in Australia). I’ll need your name and postal address, however you order it – and will get your copy on its way to you ASAP. Roll on regenerative year of the Snake! There are exactly 300 copies of my book in existence and available for sale. They are $25(Australian) each. Get one while you can. The postage is free worldwide. To buy one, contact me here or at astropoetica@gmail.com or send $25 Australian to my e-mail address via paypal. Be sure to include your name, postal address and contact details. It’s a very cool little book with a unique take on astrology – and because it is small and full of colour pictures, it’s makes a great gift. Let’s get these little babies out of here. Astrology Gift Vouchers – Available Now! It being a week before Christmas, and you are still looking for a last minute gift. Here’s an idea – A ‘Gift Voucher’ for an Astrology Reading. They are $70 (Australian Dollars) and can be paid for by Paypal wherever you are in the world – or by Direct Deposit if you are in Australia. E-mail me at astropoetica@gmail.com for all the details. I can send them anywhere in the world on MP3 by e-mail or post. They are about an hour and a half in length – and cost $70 (Australian Dollars). I can do Natal Charts, Transits, Relationship Readings – whatever. The whole tone of my readings matches the angles I take on Astrology here on this Blog site – and in my columns if you read them in newspapers, magazines or on websites around the world. My book “Astrology For Those Who Won’t Admit They’re Interested” is also out there ready to make it into your Christmas Stockings. If you are in Australia it can be found in most good bookshops. Notably Collins Smithfield in Far North Queensland, Dymocks in Fremantle, Angus and Robertson, Mary Ryans, Black Kat, New Farm Editions and more in Brisbane – and at www.boolarongpress.com.au if you are anywhere else. Reading or Book, I can promise you a thoroughly original and entertaining take on the stars. Now is a very good time to check them out! In the Mood for doing Astrology Sessions! I’m in the mood for doing Astrology Sessions. Why? In western culture it has been historically assumed that if one has a genuine existential crisis, where one’s ego blows out at 300 kilometres an hour on the open road, the only real options are to self-destruct – usually via madness or suicide (slow or fast) – or to deny ones feelings in the form of orthodox belief. In the east there has always been a third option. It has been part of the culture for thousands of years – and that option is to dance on the table. The lie is gone and now the truth can come. Yahoo! Our egos are bound to fail. They are false. All that we have learned to be, simply must fail – in love, creativity and in coming to terms with death. It has to fail because it’s got no realness in it whatsoever. It is simply impossible to love, create or know, with an identity that has been built to serve society. And our egos can be spectacularly sophisticated. In fact it takes a fantastically sophisticated ego to come fully unstuck. What greater hubris is there than to think that one can love, that one can create – and that one is immortal? This failure is inevitable. It is why depression is the greatest disease of modern man – and it need not be the end of the story. Imagine if one could keep one’s crap detector alive as one’s ego failed, not slip into the addictive haze of belief, not dull ones senses with substances or processes, resist the urge to go nuts – and instead stare into the abyss with eyes open? Those who have done so have invariably found that this conscious death of the ego is a doorway into bliss – and, paradoxically – fullness. This is why I am in the mood to give sessions. The greatest gift I have been given in this life is a sniff of this bliss – which comes as the ego burns up in the flames of its own falsity. And now I am possessed by the notion that this experience needs to be shared. What to do? The culture needs it. We all need it – in love, work and in living. So, now, let me describe the things I do, in this context. I’m in the mood for doing some astrology sessions. What? and How? I offer Astrology Sessions both face to face and via MP3 anywhere else around the globe. Astrology has become my tool for story-telling the transformational journey. Astrology is a perfect medium to do the job. It is after all a repository of stories that has roots that go back to antiquity. It is a rich living web of metaphor that is flexible enough to grow, to be re-visioned. I discovered at some point, largely by coming across the work of Milton Erikson, that story-telling is potentially deeply healing. An Astrology Reading is a perfect vehicle for shifting inner perspectives around to make way for a rebirth in that lovely pregnant moment when our ego comes unstuck. Planting the seed of story is a powerful means. In those moments of darkness, annihilation, deep feeling, that we all have, usually provoked by our relationships, work, encounters with authority, or brushes with mortality, a story can be the thread that keeps it real – that keeps it open – that prevents us from going down. Experiential Astrology Sessions are a way of doing the same thing but in a more interactive and energetic way, using psychodrama, gestalt, voice dialogue body awareness and more to take it all a step deeper. If you like this intent, connect with me. Get on the blower or on the net and book yourself in. I charge $70 AUS for a reading – wherever you are in the world – or $60 if you are in Brisbane or nearby and can come and see me. If you are in Australia you can pay by cash or direct deposit. If you are anywhere else, I do Paypal. I also send out Daily Astrological Weather Reports via Twitter (@SudhirAstrology) and Facebook (Sudhir Daily Astro), write columns for newspapers and websites (www.osho.com) and when I get the chance I play music. My book “Astrology; For Those Who Won’t Admit They’re Interested” is out and available around Australia, and on the web at www.boolarongpress.com.au It’s a great Christmas pressie option. Give one. Venus in all her glory! I don’t know whether it’s me or if there’s just a lot going on. My god it might even be the planets! This cup of tea sure helps – with ginger. Let me start from the broad expanse and work my way in. My girlfriend is showering me with the kind of love that really stuffs up the habit of complaint. Whew! And we all know how much the ego loves to feed on complaint. Right alongside that, my mother is now 93. Watching her move into frailty is the most extraordinary thing I’ve ever witnessed (besides a living buddha). Being with her is an opportunity to take love way past the place where it depends on conditions, reasons, or thanks. I alternate between clear kind competence, when it all gets real, to nutty nervousness and worry when there’s room for conjecture. Reality once again proves less fearsome than fear itself. Meanwhile, Saturn drifts gently over my Sun. Whether there’s any factual truth in astrology will always be controversial but there’s no doubting the splendorous ways it dove-tails into synchronicity. One of my favourite past-times for years has been exploring the Greek Myths behind all the astrological symbols. An even greater and more fun past-time has been finding painted and sculpted images from the world of fine art where those myths have been represented. I’ve been busy for years reading stories then making prints of images, turning them into cards and presenting them to my clients as a provocation for their inner journeys. It’s been complex and rich and deeply satisfying – but I seem to be taking a turn. Simplicity is regaining its flavour. Once again – the more room there is for my astrological enquirers to find their own meaning the better. The less I offer, even if I have a well-spring of information at my fingertips, the more uniquely creative their own process. My father used to manage the building of large infra-structure projects. He once told me that if he was able to lean back in his chair, roll himself a cigarette and joke around with whoever was in the room, it means he was doing his job. Less is more. To master any skill seems to involve discovering this. And in some way mastering skills, really mastering skills, seems to give a taste of what it might mean to master life. I’m off to the Tropical Writers Festival in Cairns on the 16th and 17th of October. Google Tropical Writers Festival for all the details. I will be there with Upasana who edited my book, and the guys from Boolarong Press. We will be signing copies at 1.30pm on both days. Upasana will be performing in Mapping the Heart on the Sunday. Google for times. My column is now in The Westender in Brisbane, which comes out once a fortnight. They have done a wonderful job with the graphics, even including a photo of yours truly playing the banjo which is perfect. 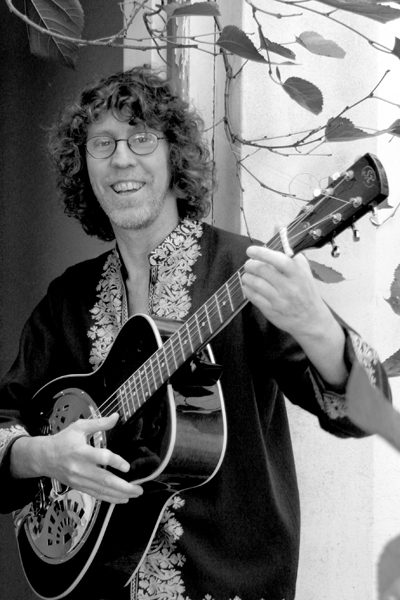 The more musical and the less esoteric astrology is, the better. My book is turning up in more and more bookshops. I just spotted it in the Black Cat Bookshop in Paddington QLD. The more they sell it, the more they are inclined to buy it. So go get yourself a copy. Soon! I am available to do Astrology Readings wherever you are in the world (MP3/Paypal) – and for Experiential Astrology Counselling Sessions if you are in South-East Queensland. I look forward to seeing you or hearing from you.